Get your friends, relatives or close colleagues a gift that they can never forget. 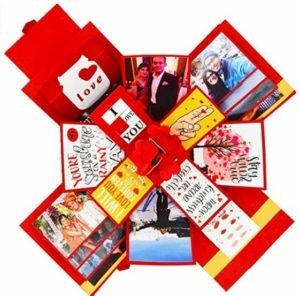 Amazon is offering DecuT WBOX25 3 Layer Handmade Gift Scrapbook at Rs 343 only. Hurry!!! Order now before the price goes up. How to Buy DecuT WBOX25 3 Layer Handmade Gift Scrapbook at Rs 343 only?